Reflections and Ruminations: Thanksgiving – there is always a reason and a season for us to be grateful. 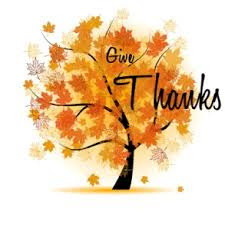 Thanksgiving – there is always a reason and a season for us to be grateful. Every fourth Thursday of November, a holiday called Thanksgiving is observed and celebrated in the North American continent (and a few other countries). Originally, this holiday was set aside to be grateful for the harvest of the preceding year. Through the passing of time and the advancement of technology, this spirit of gratitude has been, with good reason, broadened to include being thankful for all the experiences of goodness, kindness and love that one has been blessed with as well. It is to be almost expected that when one has a love of a family, when one has health, and a life that is generally free from turmoil, that one should be grateful. It is relatively easy to take these for granted, especially if one had been experiencing these throughout one’s life. These things are then easily seen as the norm. But when thanksgiving comes around once a year in our lives, it provides a good platform and reason to be extra mindful about these norms, and realise how these are not normal at all for so many other lives in the world. Perhaps what is hardly ever done in life, and especially at such occasions as Thanksgiving, is to be thankful for the ways that life has been challenging for us. The Christian is especially blessed in this regard because when we were baptized in Christ, we were also made his disciples. And Jesus was very clear when he said that no one could call himself his disciples if he does not take up his cross and follow him. Crosses therefore are signs and evidence of our discipleship of Christ. It is only when we see our challenges and struggles in life from the viewpoint and perspective of the cross that we can be bold enough to be thankful for both our blessings as well as our struggles and challenges in life. Otherwise, our thanksgiving can be rather superficial, and even pallid, flat and lacking in depth, or removed somewhat from reality. A painting of one colour, with no variance in shade and colour will only be a sheet of a single tone and not a picture. Only when there are dark shades and differences in colour and tone can it be a picture or a portrait. So too in life. Maybe the reality is that we tend to complain too easily about our crosses in life and hardly give thanks to God for them. Perhaps it is because we have a great predilection for what consoles and comforts us in life, and reject what causes us any form of suffering and trial. But if crosses are necessary for meaningful discipleship, it must then mean that crosses are good in some way. As I was meditating on this, I tried picturing myself as the very same block of marble that ended up being the finished masterpiece of Michelangelo’s Pieta. If I hadn’t allowed the master sculptor to chisel and remove parts of me that were blocking or hiding the Pieta in me, this masterpiece would not have materialized. I would only end up existing as a block of marble – with unrealized potential and hardly worth a second glance, and definitely not giving God nor the master sculptor the glory that I am capable of now as a carving of exquisite and stunning beauty. Of course, a block of marble is inanimate, and doesn’t feel pain when being chiseled. But we are human, and we do feel the pain when we experience suffering and most experiences of carrying the cross. Only faith allows us to see that these challenges as not only necessary but also good for us and our ultimate calling to holiness and sanctification. Perhaps we need to augment our usual prayer of thanksgiving to God in a way that we haven’t before. Thanksgiving is good and necessary for the things that delight and give us joy. But if we are people of faith, and if we are aware that cross carrying is a sine qua non for discipleship, we should give thanks for them as well. These will ultimately mould us, shape us, and form us into our best selves as God’s beloved. Thanksgiving therefore should be something that is not just a day, but something that is celebrated throughout our lives and for everything that we have in our lives – both the good and the bad. This blog will take a much needed hiatus as I take some time away to recreate. I always believe that there should be some periods of time in our life where we are unable to be reached. The advancements of technology have almost demanded that we be contactable and in communication 24/7. I would like to experience being incommunicado and hence this choice I am making. With your prayers, and God-willing, my next post should be the week of Christmas. God bless.